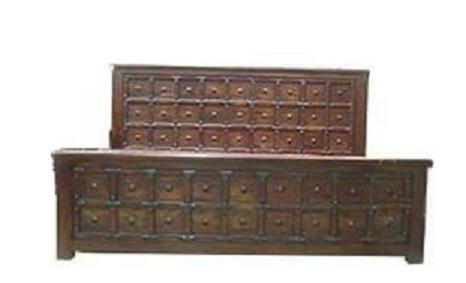 King size Indian Bed comes complete with headboard, footboard and base bed. One of our most sought-after products, this bed is sure to transform your bedroom environment. 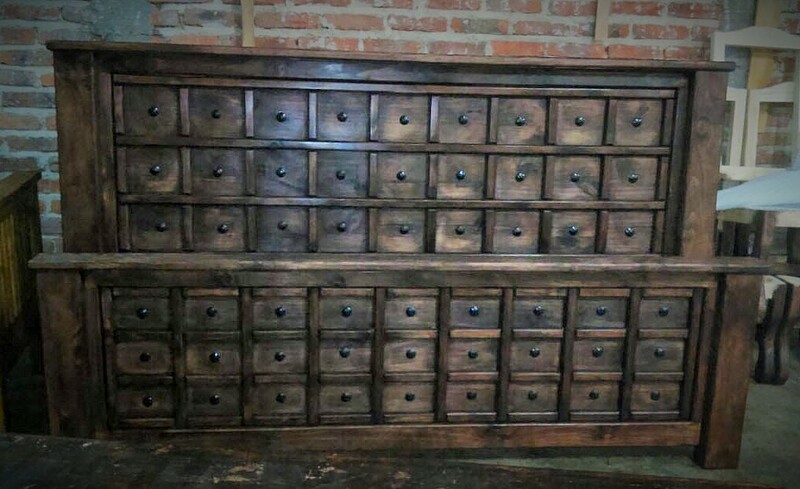 Evocative of ancient India, and of old apothecary herb cabinets, it comes complete with headboard, footboard and base bed. Let your imagination soar. 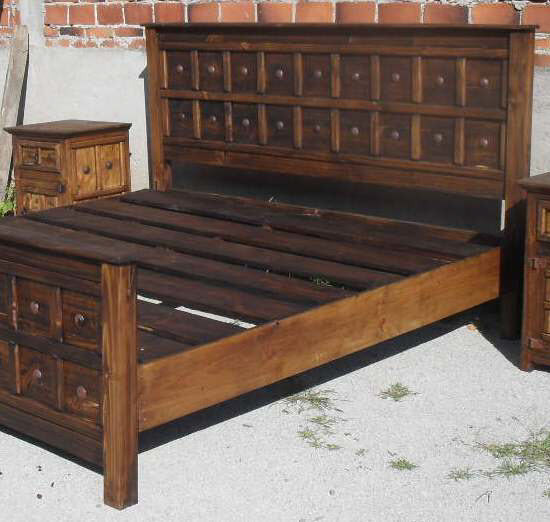 We have seen this bed paired with our Designer Series Armoire and the result is spectacular! Price shown is King size. Mattress not included.